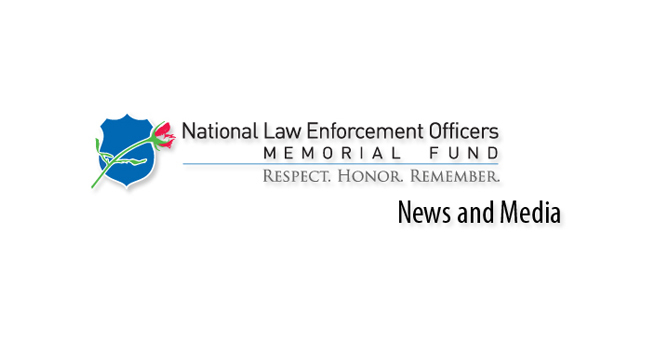 Washington, DC— The National Law Enforcement Officers Memorial Fund has released the roll call of names of 360 U.S. law enforcement officers who have died in the line of duty. These names will be engraved this month and formally dedicated at the 30th annual Candlelight Vigil held on the National Mall, between 4th and 7th streets on Sunday, May 13, at 8:00 p.m. Included in this list are the names of 129 officers who were killed in the line of duty in 2017 and 231 officers who were killed in prior years but had been forgotten by time until the Memorial Fund’s research staff and a team of dedicated volunteers confirmed record of their law enforcement service. When the addition of these 360 names is completed, the National Law Enforcement Officers Memorial will bear the names of 21,541 officers representing all 50 states, the District of Columbia, U.S. territories, federal law enforcement, and military police agencies—all who have made the ultimate sacrifice in our nation’s history. The engraving process begins with a lengthy stencil and proofing procedure followed by meticulous engraving and curing processes. Once the engraving and curing process is finished, the covers are removed, and the panel is completed. Names will be engraved on 69 of the Memorial’s 128 panels encompassing the east and west walls. Each May 13, an estimated 30,000 people assemble for the annual Candlelight Vigil, a signature event of National Police Week when the names of these fallen officers are formally dedicated. Thanks to a partnership with Officer.com, the Vigil is streamed live online so that people across the country can witness this annual tribute to America’s law enforcement officers. Individuals interested in the free webcast can register online at www.UnitedByLight.org. The names of the 360 officers added to the National Memorial this year can be found at www.LawMemorial.org/2018RollCall. For a complete schedule of National Police Week events in Washington, DC, visit www.LawMemorial.org/PoliceWeek.